Brown said that it’s important for her clinics to be equipped with both laser and electrolysis capabilities, because the technologies remove hair in different ways. Brown has 30 years of experience as an electrologist and is well known for setting standards of uoteuality in her field. She has lectured on electrolysis throughout the country and been featured in such national magazines as McCalls, Redbook, Prevent and Self Magazine. Brown has stayed on top of changing technology. “Hair removal has never been safer or better, for the client and the technician,” she said. 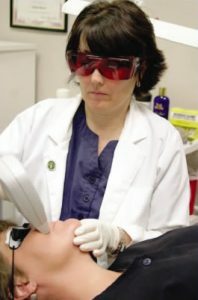 Her clinic, which she operates along with her daughter, vice-president Valerie Brown, is unique not only because it specializes in hair removal, but because it offers both laser and electrolysis treatment ­ services that attract clients from all over North Carolina to her High Point office, she said. Because the High Point clinic has been so popular, Brown said she plans to open a second office in Greensboro on Battleground this fall. Brown said that it’s important for her clinics to be equipped with both laser and electrolysis capabilities, because the technologies remove hair in different ways. 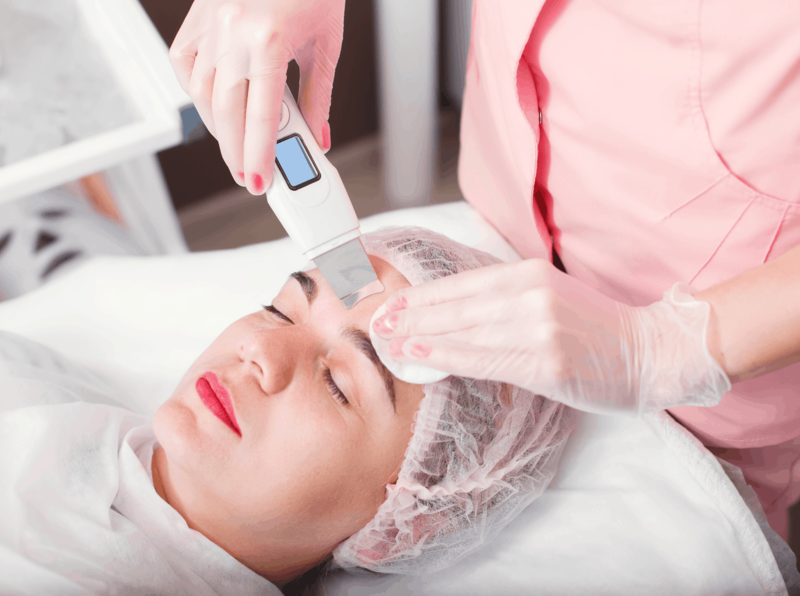 Lasers work fast, but they target pigment ­ or color ­ in hair so when hair is gray or quite fair, then sometimes it cannot be treated effectively with a laser, because of the lack of pigment. That’s when electrolysis is useful. In addition, Amy McMichael, M.D., the Medical Director of the clinic, has worked closely with Brown for eight years. Dr. McMichael is a member of the Women in Dermatology Association, the North American Hair Research Society and is a Fellow of the American Academy of Dermatology. Her interests include hair and scalp disorders as well as disorders of pigmentation.. Although laser and electrolysis are safe procedures, Brown said, one should always seek out an expert for treatment. “It’s safe as long as you go to someone who knows what they’re doing,” she said. At Brown’s clinic, every client is asked to come in for a free consultation before setting up appointments for treatment. This allows Brown to make sure that the person is treated in exactly the appropriate way. For instance, if a person has particularly sensitive skin, or takes certain kinds of prescribed medication, it’s important for Brown and her technicians to know this in advance. After the initial consultation, treatment takes place with very little hassle. In general it takes four to six treatments on most body areas. Treatments are six to eight weeks apart depending on the body area. Some people will require a clean up treatment once a year and some people will not, depending on the individual, Brown explained. She said it takes only about three minutes to treat a lip, five minutes to treat each underarm, and a bikini line takes about 10 to 15 minutes. The Advanced Electrolysis and Laser Clinic is located at 803 North Main Street, Suite A, in High Point. The new office will be located in Irving Park Shops on the corner of Battleground Avenue and Cornwallis Drive. For more information or to set up an appointment for a free consultation, call 841-4025.